This evening, Max and I went with friends to see the Infinite Monkey Cage, a show with Professor Brian Cox and comedian Robin Ince. We saw the double-act in London in December at the Christmas Compendium of Reason. That performance was a variety show: a weird and wonderful mish-mash of science, science comedy and mantras. We expected tonight’s event to be the same, but it wasn’t. Robin did a comedy skit, then Brian talked about the size of the universe and the number of possible planets that could support life (20 billion, in case you’re interested). And then a panel of guests discussed the possibility of life on other planets – or moons – and whether bumping into them would be life-enhancing or life-threatening. It was fascinating. Max hoped to meet the Professor after the show, as he had at Christmas. On that occasion, despite a small crowd wanting his attention, Brian had been gracious enough to give Max a minute of his time and autograph his ticket. This evening Max took along his copy of Brian’s book, The Quantum Universe: Everything That Can Happen Does Happen, just in case he saw his hero and could ask him for another autograph. After the show we hung around the stage door like groupies and our patience was rewarded. Not many people have heard of Brian Cox in America, so there weren’t many other groupies. That meant that when Max asked about wave function, the Professor had the time, patience and interest to engage in a complex discussion with him, until Max’s curiosity was completely satisfied. We were big fans of Brian Cox already. But seeing his humility, passion and eagerness to teach Max one-to-one made us love him even more. 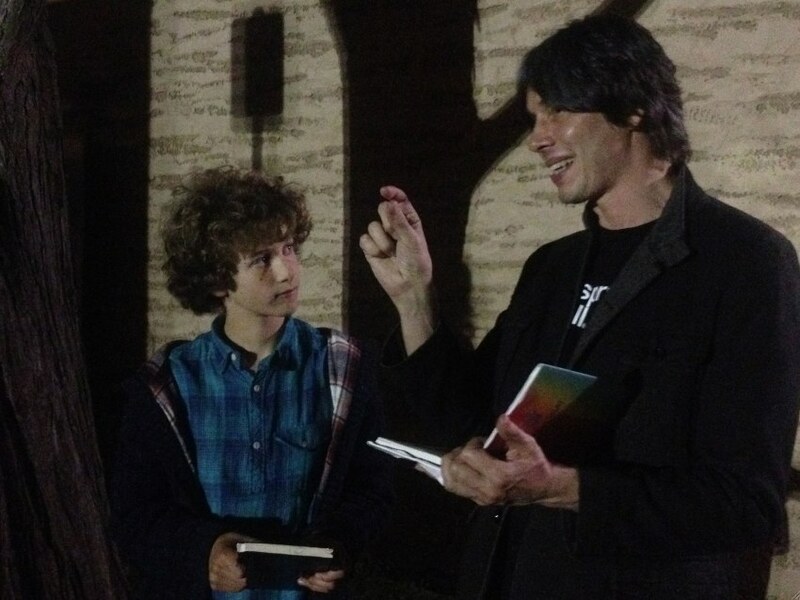 Discussing wave function with Professor Brian Cox. As you do. 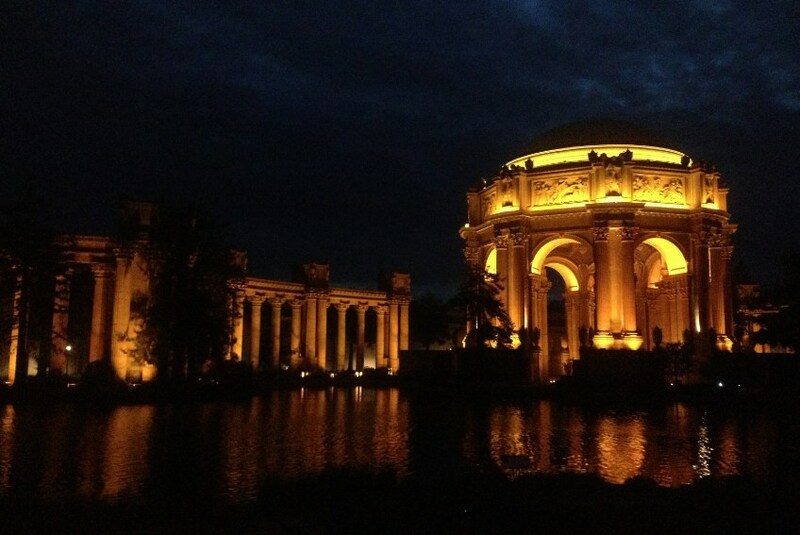 The beautiful Palace of Fine Arts in San Francisco, where the show was staged. That’s completely brilliant. Lovely to hear the story and so encouraging for Max. Also super photos by Groupie Mum I assume! As super as they could be, given it was dark and I had only an iPhone. Max was extremely chuffed. 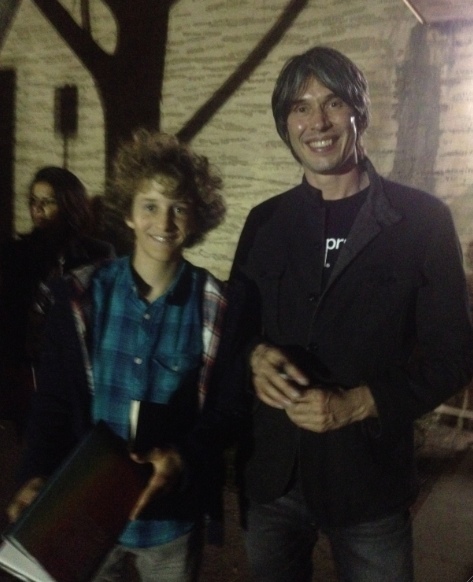 The conversation Max and the Prof had last night was way beyond my physics knowledge. Brian Cox was exceptionally polite and engaging and humble. He was lovely.